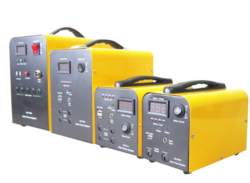 Usage/Application: Power your Home with the basic electric amenities using Solar Power as mandated by the Govt. Our technologically advance solar home light system is based on the simple technique of conserving sun light to produce electricity. We use advanced chips/panels to ensure its optimum performance. Easy to place and carry, our solar light is offered in specific configurations, as per the definite demands of our clients. We are the leading company which is engaged in the manufacturing, exporting and supplying of Solar Home Systems. Alpex Solar home system are aesthetically designed under strict quality norms.The system is typically composed of solar module, battery, charge controller, inverter and distribution box. The modern solar lighting and energy hub for off-grid homes and businesses. The Home 60 brings modern lighting and energy to homes living off of the electric grid. Once installed, the Home 60 provides bright, 100 lumen diffuse fixed room lighting to three separate rooms. 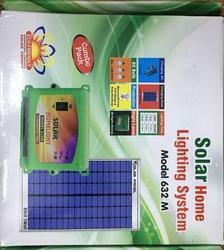 Solar Home Lighting System operates 2 to 4 nos. of High luminous efficiency CFL - 9W lamps for 4-5 hrs. per day. SRB is fully committed to support Green energy and renewable energy and the support needs a large range of products. So SRB Solar provides solar operated home application like solar refrigerator, solar thermal AC, Solar cooler, solar fan, Emergency solar light, solar mobile charger, DC house wiring for home, Solar madhani and many more solution for Home appliances. We offer a wide assortment of Solar Home Light & Power Plant Systems to our customers. When fully charged, these can work for many hours. These are widely appreciated for their compact and light weight. These are highly demanded due to their efficient performance, eco-friendliness and long functional life. We have established ourselves as a well known manufactured and supplier of Solar Home Systems. The module provided by us is well tested against different parameters under the stringent supervision of our quality experts to ensure its sturdiness at our clients’ end.